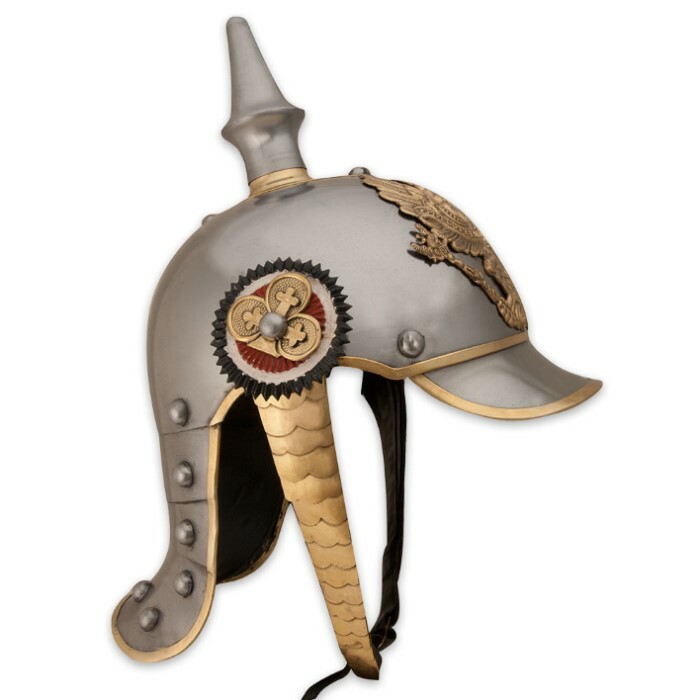 This Imperial German helmet from the WWI era is constructed of heavy 18 gauge steel. This helmet comes complete with a Prussian spread eagle insignia, spike, chin scales and a steel bowel with a lobster tail neck plate. Each helmet is full size 12 in. x 10 in. x 7 in. with a quality reproduction full liner, chin strap and each is painted with authentic color. 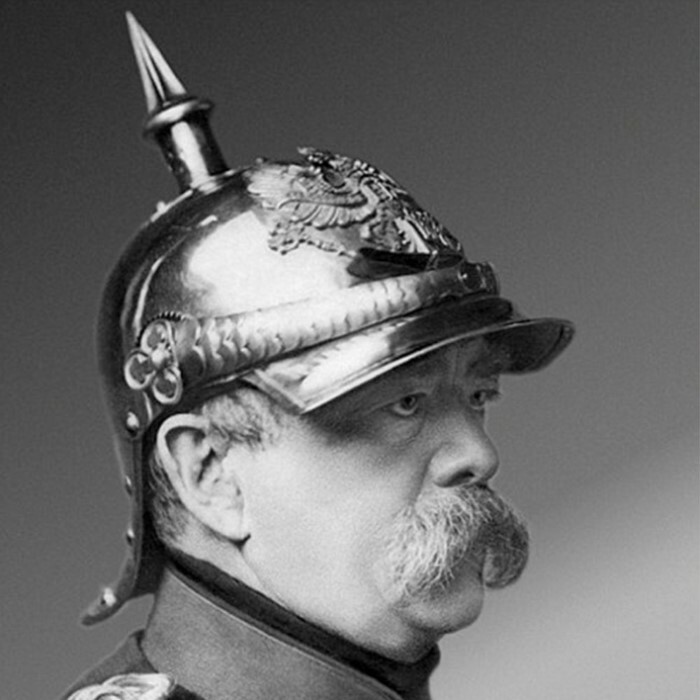 When I put this helmet on, I feel so much like i'm at the Battle of Sedan! I can just see the french advancing, while i'm shooting them down. The Helmet is well made, but the chin strap dose come loose, still it's an easy problem to fix. 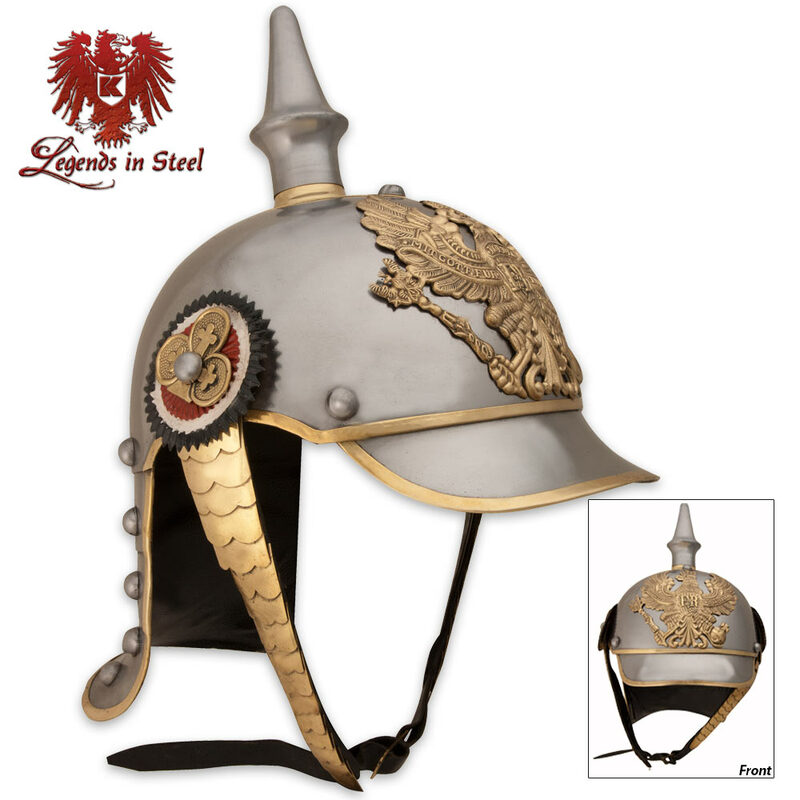 I am highly disappointed with this helmet, when I received it the spike on top was not attached, when I tried to adjust the chin strap it came apart in my hands. I am very disappointed. Really nice helmet, highly recommended. Well made helmet. Great addition to my collection. My dad has always wanted one of these,and BUDK finally provided it.The helmet was great and had no problems. It had a lot of polish. However, my dad was disappointed to learn that you can get the "real McCoy" on e-Bay for $50.